Flood risk is an ongoing issue for provinces across Canada, with many receiving federal funding for flood risk mitigation in the past year, while at the same time as about 20% of the population is now at risk of flooding, according to a recent study by the University of Waterloo. In recognition of the need to protect Canadians against significant flood losses, The Co-operators has pledged that it will provide $600,000 in funding for a flood awareness program, and has also continued to roll out its comprehensive water insurance offering, now available in Quebec and Manitoba. As a co-operative, it was important for the company to meet this need for all Canadians, including those who are most at risk, added Laidman. “Up until 2015, Canada was the only G7 nation without available residential insurance protection for overland flooding,” she told Insurance Business. “That’s what led The Co-operators to develop our comprehensive water flood endorsement. That insurance covers all clients, regardless of their risk. With that in mind, we first launched our products in Alberta in 2015 and then we went on to launch in Ontario in 2016. Then, this past April, we added storm surge coverage and we made it available in Nova Scotia and British Columbia at that time. In August of 2018, we made it available to the rest of Atlantic Canada, Saskatchewan, the Northwest Territories and Yukon,” before finishing up by making it available in Quebec and Manitoba. Read more: What is flood insurance? Besides offering insurance coverage to homeowners, increasing awareness about their risk in the first place is a key part of The Co-operators’ flood initiatives. Many people are unaware that they live in a designated flood risk zone and in turn, are not preparing for flooding. The Co-operators provides education to Canadians online and offers individual risk assessments based on home addresses, though it’s far from the only work that the company is doing in this area. “We work with many communities and the government in order to try and get the word out to Canadians about flood risk, and making sure they understand exposure and understanding what they can do to help mitigate their risk,” said Laidman. 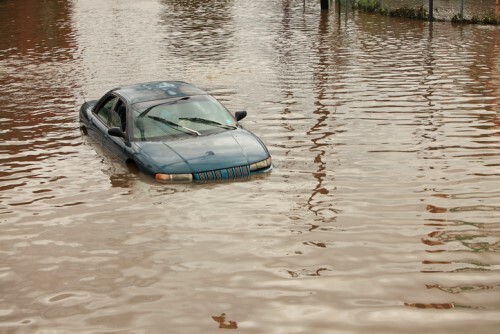 Brokers can do their part by staying up-to-date on flood risk trends as well as the insurance offerings that are available for their clients. “The important distinction between many of our competitors that brokers would have offerings from are that some of them are writing flood insurance, but all of them, to my knowledge, will not write in high risk areas,” explained Laidman.